Here comes another challenging Multiplayer snake game for you to explore! 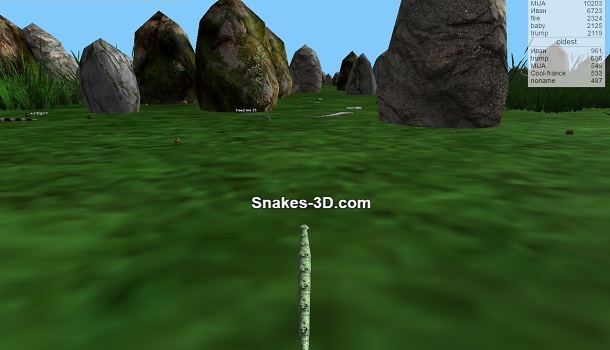 Say hi to Snakes-3d.com which has just been released on the Internet. As you know, snake games are always addictive and fun to play! There are plenty of classic snake games that you may have experienced before. At the moment,Snakes 3D is a hot game that you should join and play. Similar to other famous iO games online, this game will take you to a competitive game arena where you battle against numerous skilled and tough players all over the world. Playing Snakes 3D will also give you a good occasion to show off your talents and excellent skills. You can even make new friends with a bunch of people, fight against them and get more fun. Snakes 3D, together with other iO games will be your great choice when you want to play something funny, interesting, new, and awesome. Don’t forget to add Snakes-3d.com to your favorite game list on the Internet because surely you will get addicted to it and want to sit in front of your computer for hours. This game can alsorejoice your mood and help you relax after work, school, or doing any jobs, especially when you spend your leisure time. 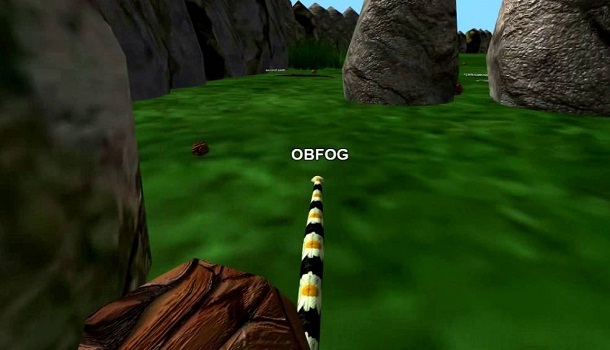 Snakes 3D is a Multiplayer snake game online that bears resemblance to Slither.io game. Possibly speaking, these two games are very similar in gameplay. There is only one outstanding difference between them, which is about graphics. Snakes 3D is considered as a variant of Slither.io in 3D. The unique graphics in Snakes 3D can make the game different a bit, but truly, both of them have the same gameplay. In addition, Snakes 3D doesn’t have the same background as Slither.io. Your snake will be moved around the grassland, and you can choose your favorite grassland before starting your game. If you have ever played Slither.io game, you would totally deal with challenges and enemies in this Snakes 3D easily. Your main mission is to take control of your snake and try to move it around the map in order to swallow a lot of stuff, mostly the little balls that scatter around the grassland. These balls have various sizes and you should try to swallow them all. The more you eat, the bigger and longer you are! While moving, you need to be sure that your snake won’t crash into the giant balls or other opponents. Otherwise, your game will come to an end immediately, and you have to start it over again. However, you can use this tactic to lure and kill the enemies easily. Try to block their way, cut them off or tempt them to crash into your bodies. When there is a dead snake in front of you, you must instantly grab their dead fragments, eat them up to increase your mass. Don’t hesitate too long, or else those tasty foods will be gone in just a few seconds. Your goal is to become the biggest and longest snake on the leaderboard! When your snake is bigger, you will move at a slower speed. You can totally speed it up, but remember when you do, you will lose an amount of mass that you have gained. The game also gives you awesome features like skins and textures that can be personalized. So, customize your snake, choose a server (grassland) that you want to play and start your challenges. Using Snakes 3D Mods will bring you a chance to get an edge over opponents easily. Like Slither.io Mods, Snakes3d.com Mods also contain amazing features that will surely draw your attention when playing. These features will be added to the original game in order to help you conquer more challenges and enemies more easily. Since Snakes 3D has just been launched recently, hopefully, the hacks, tricks or other features will be developed and attached to the game soon. In future, you can totally check out more custom skins, brand new backgrounds, grasslands or helpful tricks. The in-game controls of Snakes-3D will be much different than Slither.io game. Instead of using the mouse only in the former game, now you will utilize your keyboard with some familiar keys on it. To control the direction of your snake, you must use the arrow keys. If you want to make a speed boost, you need to press spacebar. Keep in mind that some mass will be dropped if you start speeding up your snake. Good luck! Copyright © 2016 Snakes-3d.com. Powered by snakes-3d.